Rashid Moledina & Co. , (Msa) Ltd.
* Rashid Moledina has been a trusted and respected name in global coffee trading circles for more than three-quarters of a century. * As one of the pioneering companies that has aggressively promoted Kenya’s coffee abroad, Rashid Moledina continues to maintain a strong affection for coffee. Today, it is considered Kenya’s premier exporter of the worlds finest gourmet coffees – Kenya AA FAQ PLUS being the flag-bearer. * Kenya Co-operative Coffee Exporters Limited (KCCE) is a coffee exporting organization established by the co-operative movement in Kenya to create linkages between the smallholder Kenyan coffee producers and the world market, through a consistent, shorter and transparent supply chain. In year 2009, small scale coffee farmers put their synergies together through their co-operative societies and established KCCE to explore end-to-end farming, processing and marketing of their produce and to maximize their returns. * Smallholder coffee farmers in Kenya have, for a long time, wanted to market their coffee directly to buyers overseas, and to create business relationships with their buyers, but lacked the necessary linkages to do so. This has now been addressed with the formation of KCCE as the farmers’ vehicle to the international market. * Rockbern Coffee Group is a limited company in the Republic of Kenya with vast interest in farming. Our company does own coffee estates in Kirinyaga County at the slopes of Mount Kenya. 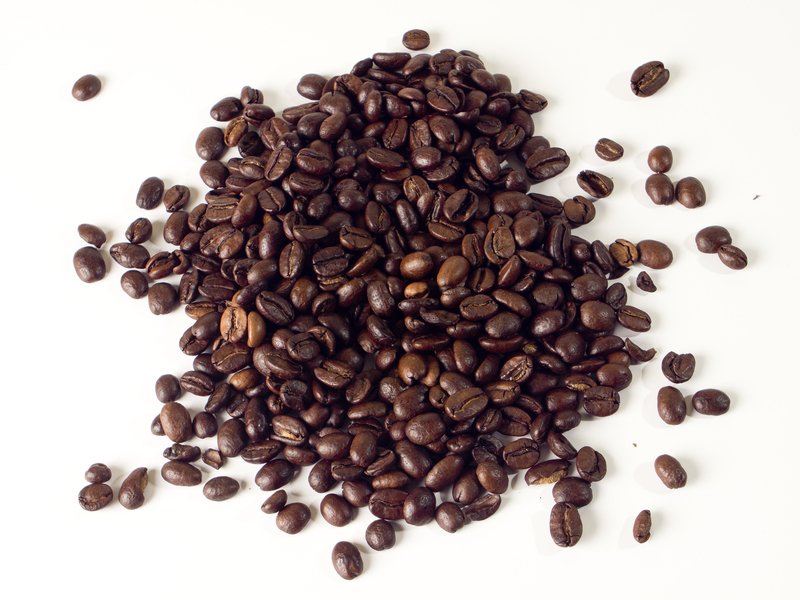 * We are registered by Coffee Board of Kenya to market, sell and export green and roasted coffee beans. * C. Dorman Ltd was founded in 1950 and has become Kenya’s leading coffee roaster and exporter, with a reputation for quality that is unsurpassed. The company’s customer base includes major users of coffee and prestigious gourmet roasters all around the world. * Our success hinges on rigorous quality control, and although concentrating on premium qualities, we can offer the whole range of Kenyan and Tanzanian coffees. * Mwangi Coffee Exporters Limited was established in 1968 by A.S. Zubedi and F.J. Mwangi as quality Coffee, spice and tea exporter to the Gulf Region, Europe and America. With a strong family tradition of coffee , spices and tea exporting in its veins. Mwangi Coffee has re branded itself into one of the leading Coffee, Tea and Spice exporters in Kenya. * Based in the beautiful port city of Mombasa , Mwangi Coffee Exporters operates Coffee farms, Coffee roasting plants and Warehouses that ensure quality coffee production and supply. Its export production includes Coffee, Tea and Species that also fall under the Mwangi Coffee brand. * Sannex Coffee unit is one of Kenya’s licensed coffee dealer, exporters and roasters with a reputation for quality that is unsurpassed. The company customer’s base targets major coffee consumers in local urban centres, Europe, America and Asia. * Our highland Arabica coffee beans key gradient of prestigious gourmet roasters all around the world are our key products. That is Grades AA, AB, C, E, HE, PB, SB, T, TT, UG, UG1, UG2, and UG3 of Arabica varieties. * Africoff Trading Co. Ltd is a leading coffee blending company in Kenya. Incorporated in Kenya in the year 1999 with the aim of sourcing and supplying all qualities of Kenya coffee, we have been offering unsurpassed expertise in coffee matters and policies to inspire love, confidence on Kenya coffee at competitive prices. *The company is f u l l y K e n y a n owned. We have highly qualified coffee export and staff with abundant experience on all aspects of Kenya Coffee. * With a passion for Kenyan Coffee, Diamond Coffee Company Ltd is proud to be a leader in the coffee industry. * The company’s founder, the late Pravin Shah, developed this passion from farming in 1965. Today, more than 40 years later, his two sons continue to embrace traditional family values in the company. Over the decades, our focus on such values, with special emphasis on quality with exceptional service, has proved to nurture truly unique relationships with our clients and the farmers. I have a client who need my coffee in istanbul, how can i be assisted to supply him the order he needs. Please call Davis Owino 0747477320 for financial assistance up to a tune of 80 percent for all coffee exporters, no security needed. Number of leading coffee suppliers not included. Our company is one of the best companies in the export and import activities. We communicate with suppliers and manufactures around the world. We have seen your advertisement in “The kencaffee.coop” and are interested in Row Coffee bean .we have order for Row coffee about 100 ton per month for kind of Arabica and Robusta .As our annual requirement in Row Coffee is considerable ,perhaps you would also send us your details and specifications,quote us for the supply of this item ,giving your price CIF or FOB Bandarabbas port (Iran) and Package type (kg). We are glad to cooperation with you company if it’s Possible. Berium Group Ltd is another company highly involved in the coffee export business. Check out their website http://www.beriumgroup.com for more details and see if it can be included in the list. My name is Jean I am looking for a coffee beans supplier Can anyone help me please? Hi, I’m looking for 40ft container price cif to LA USA of two premium roasted and raw (50/50) Kenya coffee to our warehouse in where it will be destributed VIA existing AMAZON / Ebay to a large chain of a rapidly growing boutique coffee shops in the region. My Name is Ntemana Tsoenyo, I am from Lesotho. I would like to buy and sell your coffee and Tea in Lesotho, southern Africa. Am Patrick looking for market if coffee beans, from kenya call +254707401747 for more info. If you are interested in dealings with Kenyan coffees we are best at this .We deal directly with coffee producers in Kenya at farm levels.We know and understand the production of the best quality cup which consumers cannot resist 2 at ago. You can post your querries. Hi All, May you please advise on how one can go about sourcing coffee to South Africa? What are the costs involved and expected turnaround times? I would appreciate any help. David Mwangi, please share your number? I shall reach out to the other people who have shared their numbers above as well – that is if they are still selling coffee. We are the manufacturer and exporter of jute sacks for cocoa, coffee and cashewnut packaging. Our factory is in Bangladesh. Please call us at this number +919836484381( what’s app or call) if you require jute bag of any sizes and quantity. We can supply millions of bags within 2-3 days time.